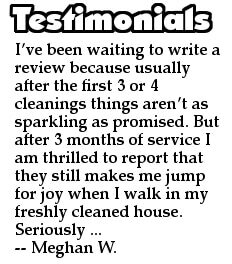 House cleaning is a time consuming chore which in most cases requires a lot of time and effort. In today’s busy world people don’t have the time to clean the house from top to bottom every week simply because juggling many tasks and commitments takes up all of their time. Commitments toward work, the kids and many more can leave most people asking for a weekend breather rather than a cleaning checklist. One good way to resolve the situation effectively is to use the services of a professional house cleaning company. There are many service providers around, each of them offering different cleaning services at a different price and of different quality. 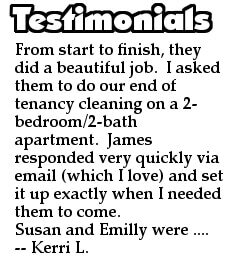 Choosing a cleaning company for your requirements is not too hard, but choosing the right company is a whole different story. Sometimes customers require a specific type of cleaning done, during the course of the service, a customer might realize they need something else done as well, like for example a session of professional upholstery cleaning to go along with their spring cleaning. Problem which arises here is whether or not the selected domestic company provides the service and if so, how much will they charge for it. If the company actually provides multiple domestic services – that’s good, but if not, then customers have to find another service provider to cover their full range of requirements, which in most cases means more time wasted in phone calls and booking appointments. 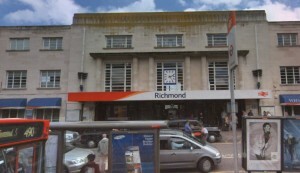 One company which provides the entire range of domestic services, at the right price is Cleaners Richmond. 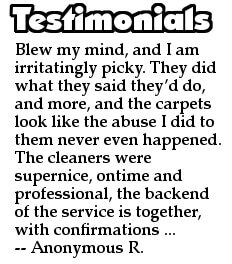 We can cover anything from a simple one-off clean up to a professional session of upholstery cleaning. 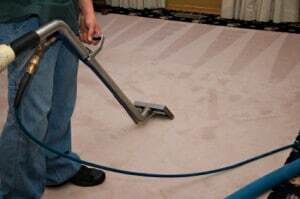 The company is listed on the internet and getting in touch with us is quick and easy so next time you are looking for professionals offering carpet cleaning in Richmond you know who to call. Customers should know that dealing with a single service provider for all their cleaning needs is a much better way to go about the situation instead of running around trying to secure the services of different cleaning companies.